The Max – 16,000 lb. 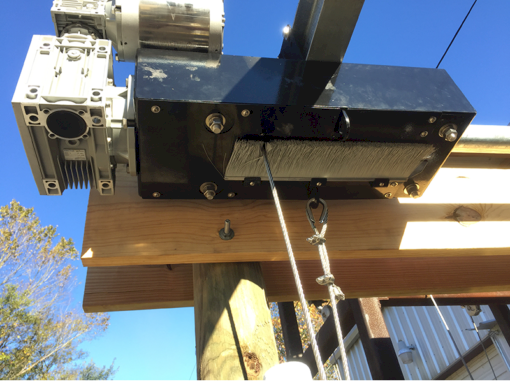 Heavy Duty Overhead Boat Lift is designed & engineered by BH-USA with professionals & marinas in mind. Designed for heavy use and longevity. Twin high-efficient belt-less drives powered by heavy duty 1 1/2 HP stainless steel IP sealed motors. Provides no maintenance drives. Features innovative Max drive systems. Guarantee straight and strong installation. Gives drive pipe pre-greased sealed ball bearing sleeves. 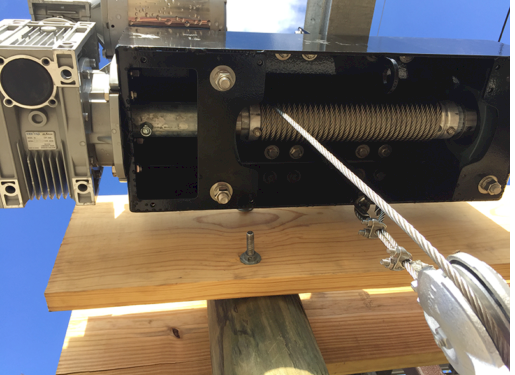 Weather protected with a strong steel enclosure for the bearings and cable, while providing a strong platform that has been tested up to 5,000 pounds, dead weight each. Optional bottom plate helps keep insects and bird nests out, helping to prolong the life of the lifting cables and giving a clean finished look. The Max uses strong 7 x 19 stainless steel 316 aircraft cable. Compounded using the 4″ ball bearing blocks. 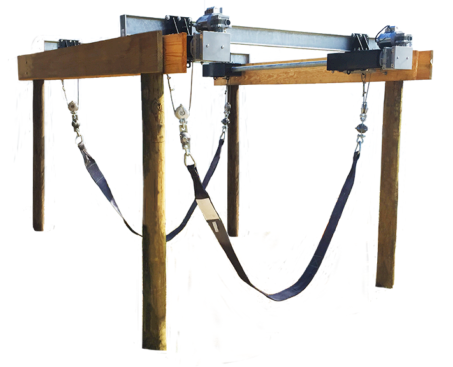 Includes BH-USA factory rated polyester weighted 6″ wide, 12,000 pound boat lift slings. Perfect for marine and yacht club docks. Designed for heavy use and abuse with virtually no maintenance issues. Comes complete to install with all hardware, pre-drilled drive pipes, and pre-wired motors. Installation is quick & simple. Individually crated and ready to ship today. Manufactured and designed by BH-USA.